You may want to print this out for future reference or give it to a friend. Welcome to the Internet Bhakta Program. 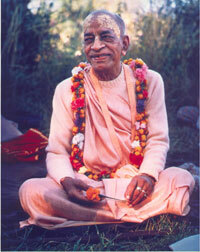 Are you new to Krishna consciousness? Would you like to know what life is like in Krishna's temples? Would you like to learn how to worship Krishna in your own home? We have created this online bhakta handbook to help you progress in your spiritual life - just read each of the chapters and you'll be on your way to making your life Krsna conscious! is the King of Knowledge! raja-vidya--the king of education; raja-guhyam--the king of confidential knowledge; pavitram--the purest; idam--this; uttamam--transcendental; pratyaksa--directly experienced; avagamam--understood; dharmyam--the principle of religion; su-sukham--very happy; kartum--to execute; avyayam--everlasting.